Adventures in baking, mostly. But also other things. 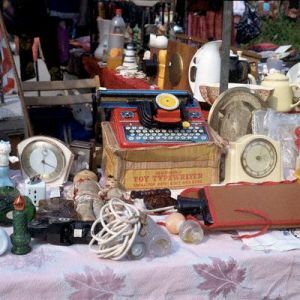 Garage sales might seem like a fantastic idea when you’re staring at heaps of stuff you paid good money for, but simply don’t need anymore. DON’T DO IT. Donate. All at once. And don’t go through your stuff again once you’ve decided to get rid of it; you’ll end up keeping things you already determined toss-worthy. If you thought it was trash yesterday, it’s probably still trash. Never as glamorous as it seems. Plus, no one ever wants to buy books, which is pretty depressing. Even the library won't take books anymore. On a quick, delicious, and convenient lunch/dinner recipe. On merging food with visual arts. On 2 kinds of truffles.